When will be H8ters next episode air date? Is H8ters renewed or cancelled? Where to countdown H8ters air dates? Is H8ters worth watching? 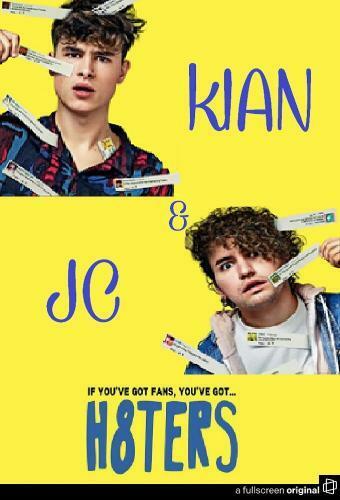 H8ters is a scripted "meta comedy" starring Jc Caylen and Kian Lawley, and Jasmine Garcia who play heightened versions of themselves - super famous and successful YouTube stars who despite the fact that they seem to be living the dream, are insecure about their fame fading. Jc and Kian ALSO play their own biggest haters, Zweeb and Frank, two mall dwelling video-game store employees who are obsessed with hating on and figuring out ways to take down these pretty, golden-boy, social media heartthrobs who are just so - so - H8teable. H8ters next episode air date provides TVMaze for you. EpisoDate.com is your TV show guide to Countdown H8ters Episode Air Dates and to stay in touch with H8ters next episode Air Date and your others favorite TV Shows. Add the shows you like to a "Watchlist" and let the site take it from there.